Home :: Carrier Oils :: Seabuckthorn Berry Oil (CO2), 1/2 oz. Seabuckthorn Berry Oil (CO2), 1/2 oz. Color: dark orange Contains: rich in essential fatty acids, carotenes, tocopherols and phytosterols Uses: prized for damaged skin, scar tissue, wrinkles, eczema, burns, etc… Apply directly or in preparations. Caution: this concentrated oil may temporarily stain the skin orange. Half ounce in amber glass bottle. 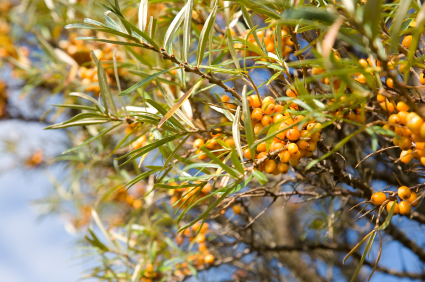 Notify me of updates to Seabuckthorn Berry Oil (CO2), 1/2 oz.